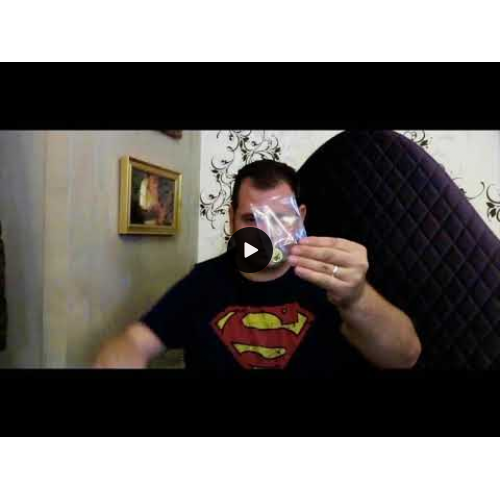 A plastic sleeve, a coin, and a regular playing card! 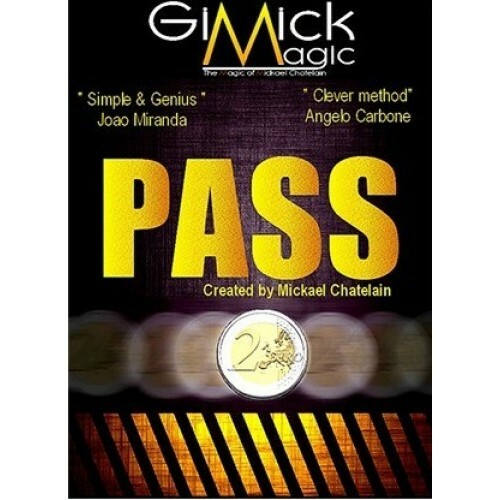 You are ready to perform PASS, a totally crazy effect! Put the card into the plastic sleeve - it fills the sleeve with no room around it. Insert the coin into the sleeve so the spectator can see both the coin and card inside. The spectator can touch the coin inside - all looks fair. Yet, with a slow wave of your hand over the sleeve, the coin disappears, right under your spectator's eyes. Explain that the coin simply passed thru the card. Slowly, turn the plastic sleeve around, and your spectator will discover the coin on the other side!!! With no room to maneuver, it apparently passed through the card. And it was ALWAYS inside the plastic sleeve - unbelievable! Remove the card and the coin from the plastic sleeve and give them to the spectator to examine them. Your spectator wants to see it again!? No problem! Intensify the effect: have the spectator SIGN the coin and repeat the magic! Finally, the coin, which is currently behind the card, can miraculously return to the face of the card! And this is with the spectator's SIGNATURE constantly showing!